DePauw University has saved nearly $140,000 so far from discontinuing cable services on Aug. 3 for residential dorm rooms and Greek houses. Instead of using cable, “Students and others who wish to watch shows with personal devices (e.g., laptop, smart tv, tablet, etc.) can use their own subscription to an online service of their choice, such as Netflix, Hulu, Sling, YouTube TV, Sony PlayStation and others,” stated the email sent by DePauw Chief Information Officer Carol Smith on July 24. Smith added that improving Wi-Fi gives students a better connection when contacting with family, doing homework assignments or using a streaming service. According to Greg Stephan, chief engineer at the Pulliam Center for Contemporary Media, Wi-Fi is like a stream of water, and each user is a faucet connected to the same pipe. When everyone in a residence hall is using Wi-Fi at the same time, the Wi-Fi is diverted to numerous devices at the simultaneously, thus limiting strength and slowing the speed of the Wi-Fi. Continuing with Stephan’s metaphor, Smith stated that improving the Wi-Fi is similar to installing bigger faucets, which allows for more water to come to each individual. With the recent improvements, each device will have more Wi-Fi to use. At least $100,000 of the $140,000 saved has been spent improving the Wi-Fi in Longden, Hogate, Humbert, Lucy Rowland and Bloomington Street halls. The Wi-Fi improvements for Bishop Roberts Hall are currently still being completed. “In a survey last spring, students overwhelmingly indicated that they most often watched TV on campus using an online service, while only six students said they used traditional cable as their primary TV source,” said Smith in the email sent to the entire school. Students have seemed mostly unphased by the loss of cable thus far, but there is discontentment surrounding the loss of free HBO GO. When DePauw provided students with cable, students were also granted free access to the premium cable channel’s streaming service, which rivals Netflix with popular shows such as “Game of Thrones.” However, since cable is no longer provided for residential dorms, students must now pay for their own HBO GO account. “One of my main frustrations is that the only alternative that the University offered were things that were paid subscriptions. Not all students on this campus have the means to afford the luxury of streaming platforms or just won’t spend their money on those platforms,” Austin Lewis, junior said. Lewis feels that there needs to be more free options for students to practice self care. “DePauw really seems to be trying to do more activity programming this year which is great. That being said there are some nights that I really just need to not be around another person,” Lewis said. The University’s decision to cut cable also impacted Greek housing in addition to residence halls. Now, Greek houses must pay for their own cable if they wish to have access. Additionally, they will not reap the benefits of the Wi-Fi improvements. “When you live in Greek housing, you don’t get [the benefits] of that [improved Wi-Fi,]” said junior Grayson Honnen. 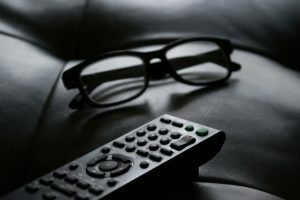 Even though DePauw University has discontinued cable services for residence halls and Greek houses, there are still some “hotspots” around campus where students can still view cable TV if they wish. These “hotspots” include the Pulliam Center for Contemporary Media, the Center for Diversity (PCCM) and Inclusion (CDI), the main lobby in Roy, the Women’s Center safe room, dorm common rooms where a TV is located and upstairs in the common space of the Union Building. The remaining $40,000 of the money saved will be used towards keeping cable alive in these “hotspots,” and investing in improvements so that cable will work properly in these areas.